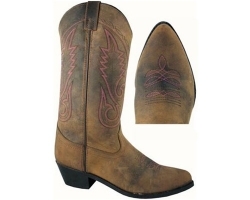 Leather western boots with style! These boots have a taller shaft. Also includes man made lining, a J-toe, western heel, composition sole and steel shank for easy riding.